On March 23rd, both the Great Hall and King’s Hall at the leading nightlife complex, Avant Gardner was taken over by the debut party series called “SUPERSYMMETRY”. For one huge collaboration of two separate parties, the debut event featured a slew of Ibiza techno and tech-house heavyweights like Loco Dice, Nic Fanciulli, Steve Lawler, Andrea Oliva, wAFF, and Josh Butler for one epic night. Bridging the two events together, fans had the option to bounce between two different events at Avant Gardner giving them the opportunity to explore new artists and sounds. 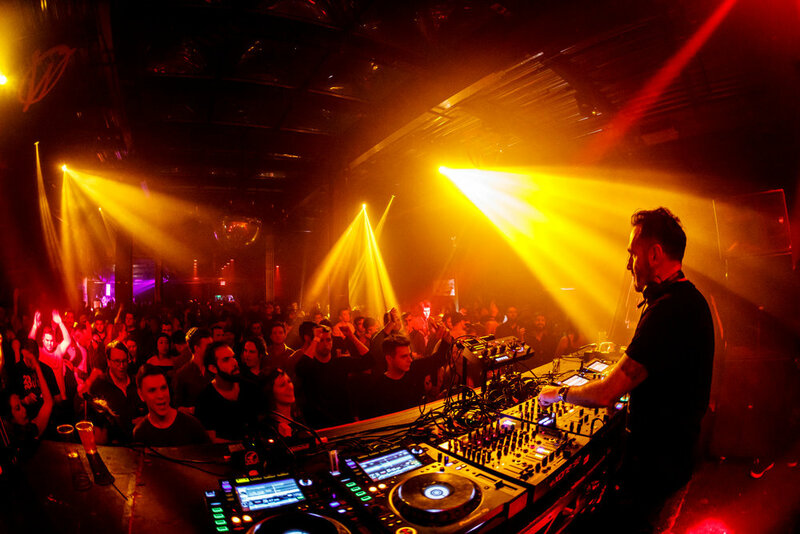 The Great Hall was taken over by Desolat label head Loco Dice along with GRAMMY-nominated DJ/producer Nic Fanciulli, and DC-10 regular wAFF. DJ and producer wAFF opened up at the Great Hall with fun and exuberant set, warming up the crowd for an epic night. Nic Fanciulli was up next with a seductive set giving fans exactly what they wanted that night. It was dark and fun, everyone was moving in unison. The packed out Avant Gardner was full of techno heads for this debut party series. The bass from the speakers was hard-hitting to the bone, feeling every beat with every drop. Once Loco Dice arrived at the decks, everyone cheered and clapped when he appeared. Most of the night he played vinyl displaying his art in full. Loco Dice played a vibrant set filled with the finest techno music, he played ‘Promise Land’ among other tracks such as ‘Out of Reach’. Having the chance to see and meet Loco Dice numerous times his set at SuperSymmetry was the finest among them all. At the King’s Hall, Warriors Ibiza series creator Steve Lawler through down another incredible set. Giving fans a piece of the Warriors party series along with the Ibiza vibes. ANTS global ambassador and elrow favorite Andrea Oliva played a color set, full of awesome house and techno tracks. Once Andrea Oliva played ‘Be Sharp Say Nowt” by Patrick Topping I dropped to the floor and screamed from excitement. It was the second time seeing rising UK star Josh Butler perform. He played an excellent set filled with melodic house and house tunes, giving an organic natural vibe flowing around the King’s Hall beautifully. The entire night my body could not stop dancing from all the unbelievable music that was being played from both rooms. It was truly a magical night being apart of this debut event where two parties became one.